Additionally, Mayor Gattinelli gave insight on Washington Township happenings and Captain Ken Kennedy provided information on the 1033 program at the latest council meeting. At the Washington Township Council meeting on April 25, council voted on a shared services agreement with the board of education, Capt. Ken Kennedy explained benefits of the 1033 program, residents of Heritage Valley expressed their concerns regarding the construction of an assisted living facility, and Mayor Joann Gattinelli touched on Washington Township Saves Lives stats, as well as the new Washington Township smartphone application. Kennedy explained the 1033 program allows for excess department of defense property that might otherwise be destroyed to be transferred to law enforcement agencies across the U.S. at no cost to the agency. Upon approval from the U.S. Department of Justice and the State Police, the agency would be permitted to begin requesting equipment. “Each request is also subject to approval of the LESO program and NJ state police. All equipment is strictly accounted for — when equipment is no longer needed, agencies must request permission to turn in, transfer or dispose of the property,” Kennedy said. More than 7,000 law enforcement agencies, including Washington Township, are involved with the program — which has transferred more than $6.8 billion worth of property since its inception, according to Kennedy. In six months, Washington Township’s agency was approved for equipment, including a high-mobility, multi-purpose Humvee valued at $60,000, 67 rifle sights valued at more than $23,000, which had no installation costs, an ATV valued at $4,000, cold weather jackets valued at more than $500 for officers to wear during training activities in inclement weather and two night vision goggles valued at $4,000, to be used to conduct services for individuals who have gone missing in or near wooded areas during hours of low light. Kennedy noted one vehicle acquired through the program was recently used in a 13-hour standoff with a male firing a weapon from his home in Gloucester Township. The vehicle sustained multiple gunshots, including one to the windshield, and kept officers safe during the standoff that prompted 14 school closings and multiple residential evacuations. “Despite acquiring over $90,000 worth of equipment to date, these items have not cost the township anything,” Kennedy said. Kennedy said the agency plans to use the equipment in active shooter instances, extreme weather conditions and to continue Chief of Police Pat Gurcsik’s community caretaking initiative. This includes bringing the vehicles out to community events for children and adults to view. In other news, the shared services agreement would allow the township to share expenses for the refurbishment of a turf field. Contribution toward upgrades and refurbishing will cost $25,000 per year for 10 years. 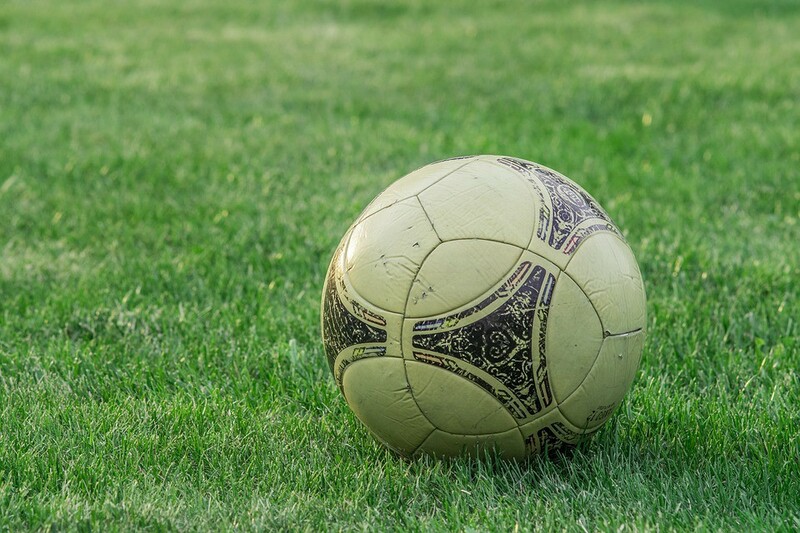 Council also passed a mutual agreement to allow the township to use the board of education’s athletic fields, gyms, tracks, playgrounds and property for special events and recreational use. Residents who live in the Heritage Valley development in town expressed concerns about the construction of an assisted living facility causing vibrations that are damaging their homes. According to solicitor Stuart Platt, the township is doing all it can on behalf of the residents. “Generally, I’m looking to make sure what was approved on the plans is what’s actually being built,” Platt said. “We’ve sent the zoning officer and construction official to see if they violated any zoning code requirements, and if the construction official felt they were violating construction requirements.” This, for instance, could include obeying construction hours of operation regulations. Councilwomen Dana Pasqualone and Angela Donato both offered to personally visit the homes of these residents. “A municipality can’t sue developers for damaging someone else’s property — we can sue them for damaging our property, [but] we don’t have legal standing to assert claims for private property damage — homes, cars, driveways, patios,” Platt said. Platt noted the township has met several times with the developer and contractor to make sure they’re working within the state vibration limits, and the construction official has ordered a vibration test. Although he hasn’t seen the test, Platt said from what he’s heard, it is within the parameters of vibration regulations. Platt said he believes the angst of the homeowners may be a result of lack of communication and cooperation from the site developer and contractor, to the residents. Gattinelli gave insight into the Washington Township app at the meeting as well, which residents can download on Android and iPhone smartphones for free. The app will consist of six sections — offers, news, events, merchants, notify and Washington Township Saves Lives. Gattinelli said users will be able to access and utilize Shop Washington Township coupons and see participating merchants, use the Washington Township Saves Lives program — which has been used roughly 800 times since implementation and reduced DUI arrests by 53 percent since last year — and stay up-to-date with town events and news. The “notify” icon, according to Gattinelli, will allow residents to report dangers they see within the township that might need fixing, such as potholes, broken street signs and other damages that haven’t been spotted. Pasqualone reported the BOE passed its budget and acknowledged Washington Township High School principal Ann Moore’s retirement. Councilman Sean Longfellow announced plots in the community garden, which opened on April 22, are still available for purchase, and council President Joe Perry announced that on May 5, the Washington Township Senior Center will host an indoor garage sale, featuring more than 25 tables, from 9 a.m. to 1 p.m. Aversa’s Bakery will also host “Cannoli with a Cop,” on May 5 from 10 a.m. to noon, according to Donato. Perry also congratulated Pasqualone for making the Eagles cheerleading squad. “She’s promised the Eagles will win another Super Bowl,” Perry joked.